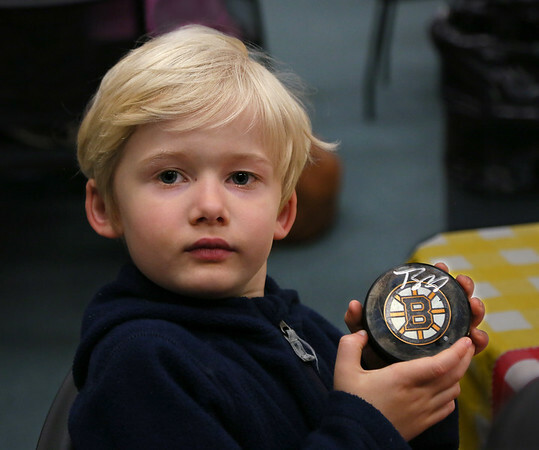 Six-year-old Beckett Swan Hall of Gloucester holds a hockey puck, autographed by Boston Bruins player Brad Marchand, that he won in a drawing entered through the Sawyer Free Library in Gloucester. The annual drawing for Boston Bruins-donated prizes was open to children participating in summer reading programs at public libraries across the state. The Sawyer Free has entered local children's names in the contest for several years, but Beckett was the first to win.